Barcelona have confirmed the arrival of Philippe Coutinho from Liverpool. Coutinho’s move to Spain is the second-most expensive transfer in football history, just behind Neymar’s transfer from Barca to Paris Saint-Germain. 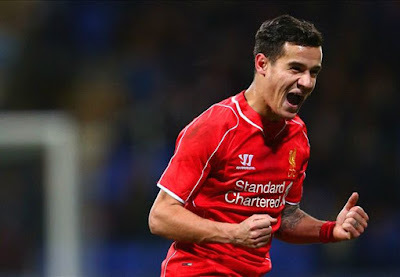 The Brazilian leaves Liverpool for a package totalling £142million . He will put pen to paper on a five-and-a-half-year deal at Camp Nou. The La Liga giants have also included a €400million (£355m) release clause in Coutinho’s contract. Barca announced the 25-year-old’s arrival on the official site, with a video on social media showing his new locker room space and shirt. It is understood that Coutinho will adopt the No.7 shirt, which is currently worn by out-of-favour midfielder Arda Turan.